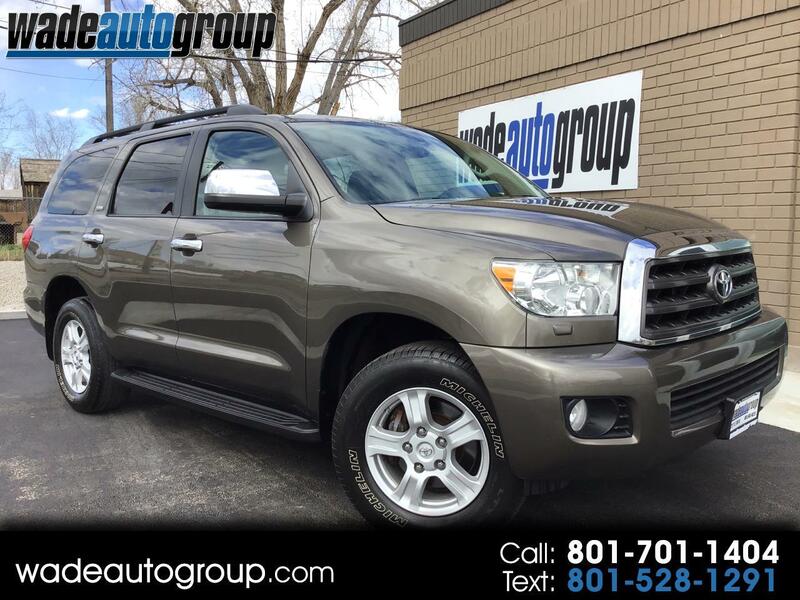 2012 TOYOTA SEQUOIA SR5 5.7L V8 4x4, Gray w/ Gray Leather, 103k Miles, Towing Package, Back-Up Camera, Remote Starter, Sunroof, Bluetooth Connection, Pwr 3rd Row, Heated Seats, Multi-Zone A/C, Rear Parking Aid, Running Boards, Auxiliary Audio Import, Keyless Entry, Luggage Rack, Steering Wheel Audio Controls. , 8 Passenger, Here at Wade Auto Group we sell quality vehicles at low prices. This car has a CLEAN TITLE. Call now or visit us at www.wadeautogroup.com WADE AUTO GROUP 12277 s. 700 w. Draper, UT 84020. ''You've got it made with WADE'' WE BUY TRADES.....Extended Warranties available, call for more information. Message: Thought you might be interested in this 2012 Toyota Sequoia.